IAIDO.COM recommends the Japanese Martial Arts Center in Ann Arbor, Michigan, where intensive courses are offered in iaido, judo, and jujutsu (jujitsu). Kendo is practiced in a weekly workshop. See the Japanese Martial Arts Center site. IAIDO - the way of the sword, is a martial art form that began as an off-shoot of kenjutsu. It was developed as a defensive method to counter surprise attacks and enemy raids in fifteenth and sixteenth century Japan. The purpose of iaido was to slay an opponent with one stroke of the sword immediately after unsheathing it. In order to create such a defense system, situations and circumstances of surprise attacks were studied to devise a systematized way to use the sword effectively against many forms of attack. The Japanese Sword, known as the katana, was considered the ultimate weapon of the samurai, to be used not only as a fighting tool, but also as a means of achieving enlightenment. Through incessant practice in the ways of kenjutsu, a warrior was thought to be able to shed his illusions and more clearly perceive truth. The evolution of the Japanese blade, from the early chokuto to the tachi, and finally to the katana (along with its companion blades, the wakizashi and tanto), closely parallels the evolution of the samurai philosophy, which encompasses Shintoism, Confucianism, Buddhism, and the eminently practical warrior Zen. -See the custom Practical Katana specially made for Iaido.Com and AJS! -See the custom Meijin Katana specially made for Iaido.com and AJS! Iaido is a type of Japanese swordsmanship. Practice is made up almost entirely of kata, or pre-arranged sets of motion designed to respond to a particular attack by another swordsman. A kata typically consists of a draw, a parry, a major cut, a blade-cleaning motion, and a resheathing. Practice is calm and quiet, since the most important feature of iaido is the development of zanshin (a calm, reflective mind), and the major difficulty to overcome is the extraordinary attention to detail required. This is another art that is popular with older people and non-athletes, since the relatively slow movements are not as taxing to the cardiovascular system as are the more active arts (though it is still extremely challenging). 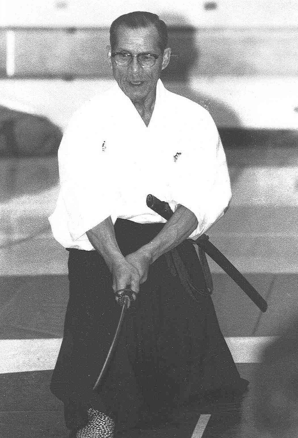 The person most responsible for the creation of modern iaido was a man named Hayashizaki Jinsuke. He brought together many older styles of swordsmanship to create a system that was ideal for castle guards and sentries to use in defending against surprise attacks. The unique drawing motion in most iaido kata is designed to draw the sword, to parry an oncoming cut, and to cut the opponent, all in one motion. Iaido, perhaps more than any other martial art except kyudo (archery), develops a calm, clear mind in its practitioners. Some of the major schools of iaido are: Muso Shinden Ryu, Muso Jikiden Eishin Ryu, and Shinkage Ryu. Iaido training builds arm and leg strength and provides a gentle cardiovascular workout. As stated above, it helps in the development of a calm, stable demeanor and, through attention to detail and continual refinement of the motions, orderly, precise thought patterns. It is not an art for those who are impatient or who desire great activity. Some younger people find the practice style a bit slow, and there is no form of direct competition in iaido. Also, watch out for poorly trained instructors, who teach the general pattern of the forms, but who do not understand the precise details or the reasons for them. Without these essential component, iaido has little to offer in the way of mental discipline, and would be an unrewarding art for most people. - from BUDO MIND AND BODY, by Nicklaus Suino. The practice of this martial art requires a solemn spirit, extreme concentration, and skill. Every motion, such as the movements of the arms or legs and body, must correspond to the offensive motions of the opponent, and it is of utmost importance that a person follow the rules of discipline that have been carefully and thoroughly applied. The secret to iaido is a calm spirit. With a tranquil heart you put your hand on the hilt of your sword - in a split second your hand moves to cut down the opponent and resheath the sword - then return to your composed mind. A serene spirit must be cultivated at all times. It is said that the sword is like the mind, and if the sword is upright, the mind is upright. But if the mind is not upright, the sword can never be wielded properly. Even though you may devote yourself to it with all your heart and soul, it is very difficult to master iaido completely. It is possible, though, to move one step at a time toward the ultimate goal through practice.